You may remember from my Ulta Haul I received a free Coconut Body Butter from The Body Shop. This is my first time ever using a product from The Body Shop and I'm happy to say I really like it. I know I must have been living under a rock not to have tried their stuff before but now I have and I plan on making future purchases. I really like that this is thick and creamy in consistency. As you can see in the picture I tipped it up onto it's side and it wasn't budging. On your skin it feels quite buttery but not greasy and does a fantastic job moisturizing the skin. Use this on any dry spots and they will clear up quickly. The packaging is also quite convenient and contains the product very well. You get a lot of product for the size as well since it is so thick and packed into the container your getting your moneys worth. A little of this product can get you pretty far as well so that's even more value for your dollar. The one thing that might deter someone from this product is it's strong scent. It smells very strong like cocoa butter and the scent lingers on the skin for a few hours. At first I didn't really like how strong the scent was but I must admit it grew on me. I do think that this could be a deal breaker for people who are sensitive to strong scents. You can find this in 3 sizes Mini (1.7 oz) for $6.00, Regular (7.0 oz) for $18.00, and Jumbo (13.5) for $25.00. I would start out with the Mini size to make sure you like the scent and consistency if your looking to pick this up. They also offer a bunch of other different scent and formula combinations! You can find this in The Body Shop or Ulta online and in stores. 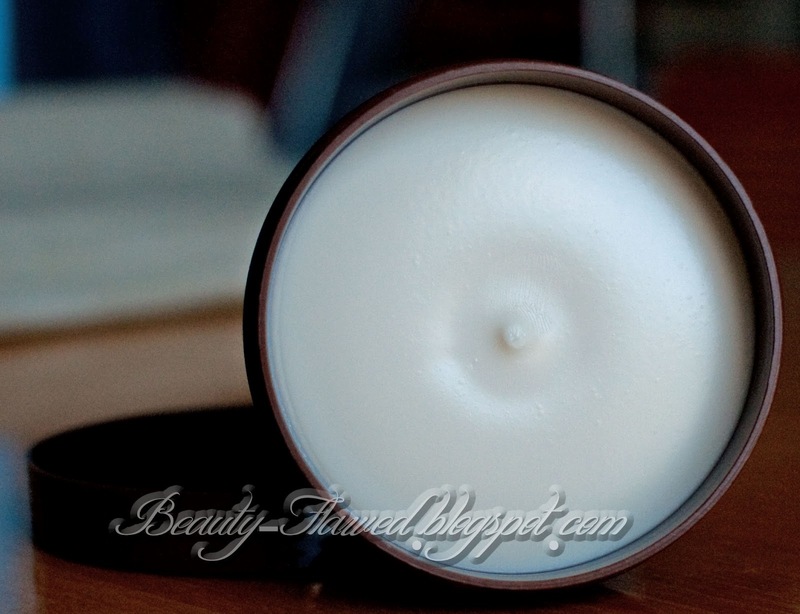 What do you think of The Body Shop Coconut Body Butter? Key Ingredients: Cocoa Butter, Coconut Oil, Shea Butter, Sunflower Seed Oil. Ingredients: Water, Butyrospermum Parkii (Shea Butter), Cyclomethicone, Glycerin, Theobroma Cacao (Cocoa) Butter, Helianthus Annuus (Sunflower) Seed Oil, Glyceryl Stearate, PEG-100 Stearate, Cetearyl Alcohol, Cocos Nucifera (Coconut) Oil, Bertholletia Excelsa (Brazil) Nut Oil, Dimethicone, Lanolin Alcohol, Trihydroxystearin, Myristamidopropyl PG-Dimonium Chloride Phosphate, Fragrance, p-Anisic Acid, Xanthan Gum, Disodium EDTA, Sodium Hydroxide, Benzyl Benzoate, Coumarin, Butylphenyl Methylpropional, Caramel. I'll have to check out more of their line! I really want to try this one out. 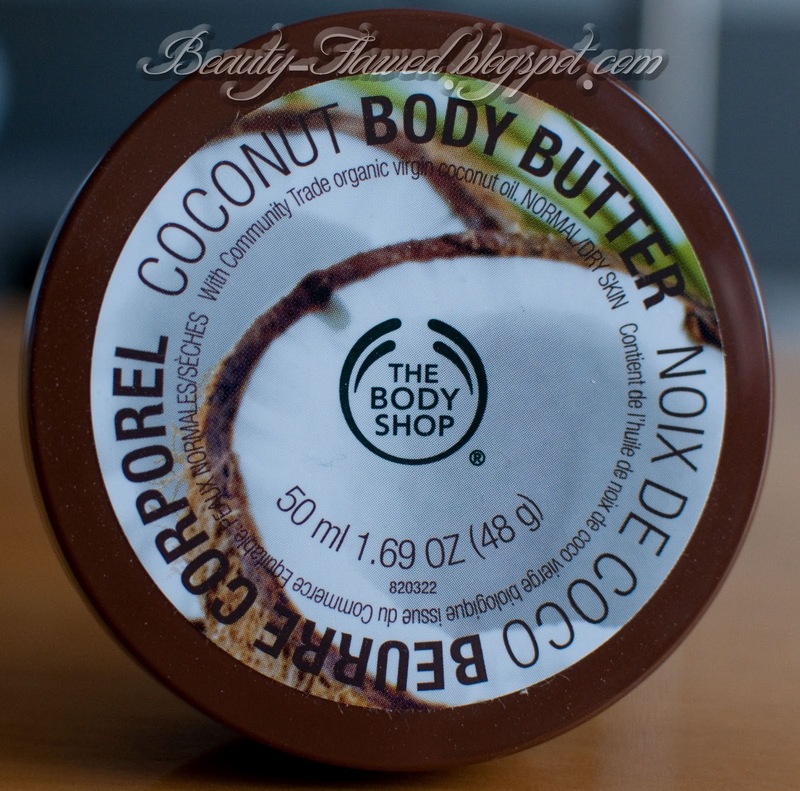 After trying a bunch of stuff from TBS, I really regret not getting a body butter....and I love coconut anything! I love the body shop and especially their body butters! Not a big fan of things that smell like coconut however so on this scent I will probably pass. I don't blame you there it is a pretty strong coconut too so not something that you could get away with using. I love the body shop also. I am not a fan of coconut scent though =( But definitely love the packing. Have you tried the Shea butter one? The Body Shop is seriously heaven on earth and so are their body butters! My faves are Mango and Shea! I love that their scents aren't overwhelming and the butter is so rich literally lasts all day and night! I'm not a fan of the coconut body butter, but i LOVE the blueberry one. Try that one. it's softer and fruitier in scent and it doesn't really linger too long because if you have dry skin like me, it'll drink it right up! Blueberry that sounds pretty cool you don't see many blueberry products now a day besides those Yet to blueberries and I don't like their product line up. I really want to try this! I love the smell of coconut!! You'll love this then the scent is very on point for coconut and strong! Love coconut body lotions, this looks so nice! Its so creamy and plush in texture love it! Love your blog! New follower, please follow back, thanks! I love coconut too and I can not even imagine how good this must smell! !